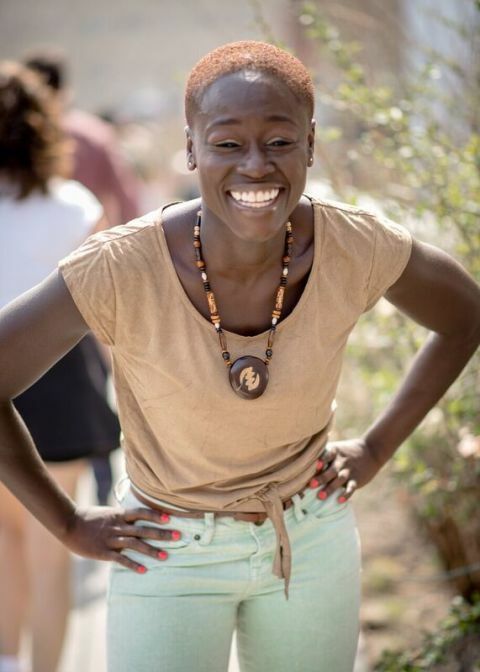 Years ago, Cassandra Nuamah posted a piece of paper on her door that read: “In 2013 I’m going to help people live and fulfill their best lives.” A year passed and Nuamah’s early mornings, evenings, and occasional lunch breaks were filled with wellness coaching gigs and teaching dance. Both were things she found fulfilling, but she was still paying the bills with a full-time job as a producer at an advertising firm. By the time 2014 rolled around, she said to herself, “This is the year it’s going to happen” and took a marker to the note, replacing 2013 with 2014. 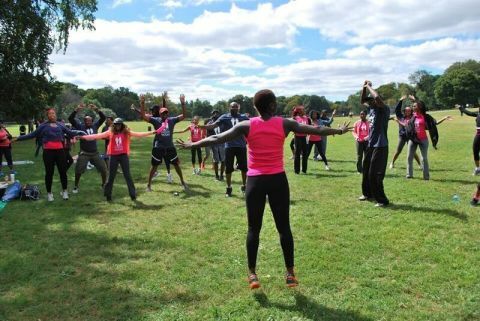 And indeed, 2014 was the year Nuamah, known by many as Coach Cass, became a full-time wellness coach and master dance trainer. The switch was a big deal in her own life, but she’s not sure if the people she worked with even noticed. “People didn’t know I had another job. In their mind I was always Coach Cass because I introduced myself that way,” she said. Over the years Nuamah, who was born and raised in Washington D.C. and whose family hails from Ghana, built a following of devoted and enthusiastic clients. “The joy is unexplainable,” she said. “When I see people meet or exceed their goals or when I see somebody who isn’t confident as a dancer or doesn’t even dance at all turn into John Travolta, I absolutely love that.” (She teaches Kukuwa African Dance, a program created by her mother). The positive influence she had on her clients, and the feedback they gave her, extended to the digital realm of social media, where Nuamah grew much of her clientele. Before venturing to fitness and dance full-time, free marketing on Instagram, YouTube, and Twitter, along with recommendations from friends and family, helped her build a hefty client base. “When you go out on your own, you can’t think of your job as kind of cool. It has to be your everything because it’s not going to be easy if you’re halfway passionate about it.” After figuring out how to monetize your passion, “don’t try and reinvent the wheel. People should remember that almost everything you want to do, somebody has already done it.” Research, study, and learn from their examples.